SMARTY Trend head unit overview for Volvo XC90. Volvo XC 90 is an excellent SUV, which is ideal for long-distance travel, and for a large metropolis. A feature of this car is its quality. Modern, manoeuvrable car is reasonable price. It is especially popular in Europe due to its cost-effectiveness and modern design. Despite these advantages, there are many questions related to the functionality of the vehicle. Of course, the official dealer can help you solve this problem, but the cost of such services is unreasonably overpriced. SMARTY Trend can help you improve your car today. This unit SMARTY Trend is a standard device. That is, it was specially designed for this car. The installation of the device itself is performed on the principle of a connector into the connector, all that is necessary for the installation of this head unit is supplied. Off the features, it should be noted that the presence of the AUX function is necessary and this device is suitable for first-generation cars. Observed support for all regular features of the car. Thanks to the Android OS, all SMARTY Trend receivers support absolutely any kind of audio and video file formats. To do this, you need to install special players that are available on the Google Play Market. Taking into account the fact that you can connect a flash card and a removable hard disk, this allows you to create a huge library that will always be at hand. The important point is the preservation of the work of the standard rear view camera, the image will be displayed on the SMARTY Trend head unit. It is also possible to install an additional front view camera. Thus, driving becomes safer just like a car parking. 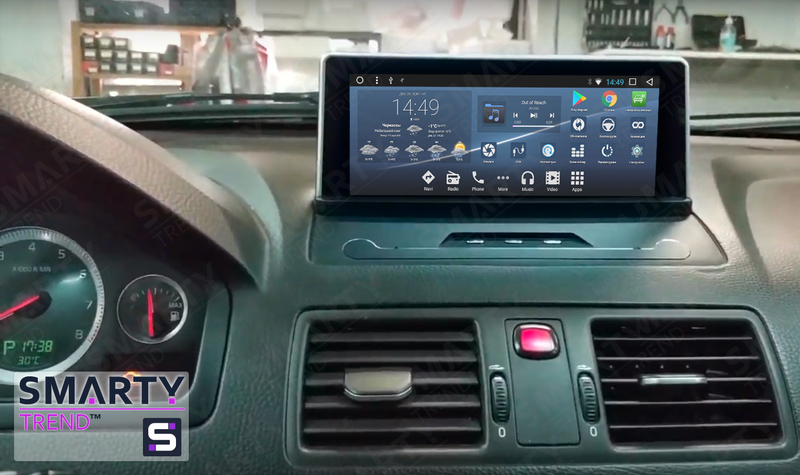 Thanks to the new SMARTY Trend head unit, this car is now not inferior to the latest generation cars. Modern design and touch control have improved its appearance. Support for regular features and the ability to add a huge number of accessories gives you a huge number of new features that were previously unavailable. The ideal price means quality ratio is one of the key points. Make your car more comfortable today! Company SMARTY Trend is always happy to help!